Click here for Kindle version. At age 40 I took full responsibility for my health, and I have not needed an appointment with an MD for the last 22 years. I focused full time on health from ages 40-42, and 60-62, and part time during the intervening years. My health is better at age 62 than it was at age 30. Yours can be too! You CAN be healthy but it is usually a process. Click here for Kindle version. At age 40 I took full responsibility for my health, and I have not needed an appointment with an MD for the last 22 years. I focused full time on health from ages 40-42, and 60-62, and part time during the intervening years. My health is better at age 62 than it was at age 30. Yours can be too! You need to embrace the process necessary to restore and maintain maximum health. For me, it has been difficult and challenging, but well worth it. I believe my next 60 years can be lived in vibrant health. I believe I can make the process easier for you by going before you, pulling together the BEST information available and presenting it in a palatable form. Team up: First, I choose not to learn things alone. I team up. The synergy of the team provides exponential results. So get a few friends to work with you as you focus on health for three, six or nine months. Have them each order this book and then commit to working through it week by week, reading and applying one article a day for the next 100 days. 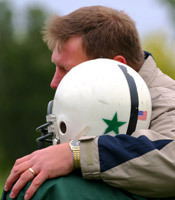 Have a good coach: An outstanding coach helps you achieve your maximum potential in the shortest time possible. I always search for coaches who are modeling what I want to become and who can communicate the "how to" for getting there. I believe our book on Vibrant Health can be that coach for you, and if you want a more personal touch, then you will discover in the introduction of the book that there is an opportunity to enlist me as a 3 month coach to help guide you as you pursue vibrant health. I want to see you healed. There is more than one way to get healthy: God can grant you a miracle, or He can heal you through His Gifts of Healings. We list over 40 of what I consider these gifts of healings, sharing how I have applied them in my own life and the results I and others have received. The list is a starter list, as God surely is limitless in His knowledge and approach to get things done. So don't consider this a restrictive or exhaustive list. You create your own list, and act on the things God is revealing to you, and you will experience better health! You're right, this book is the longest I've ever written (450 pages): This is because health and healing involve many different things. Let this serve as a resource manual for you. You may focus much more largely on certain sections, and disregard others for now. That is fine. Allow this reference manual to stir you up and get you headed in the right directions. Come back to it often, until you are living it. The more you embrace, the healthier you become. Each step is one building block of a healthy lifestyle. Why not take them all? Why not experience vibrant health? May His peace and His health flood your being - spirit, soul and body - and may you live in peace and harmony, being blessed with abundant health! In general we have failed to turn to the Lord as our source for health care and don’t think to look in God’s Word for our health care needs. As a nurse I have seen so many people injured by drugs and surgery and in the institution of health care. Health care is no longer what is in the best interest of the patient but big business and often unsafe. Many of our routine practices are downright dangerous. This is a valuable resource of insight into God’s Word and His plan for health and healing. The tools in here are safe and Godly. It is a valuable resource list and I have used many of the tools in it and have had significant healing in many areas. I encourage everyone to turn to the Lord and seek nontoxic methods for health and healing such as these. This provides a refreshing list of hope and resources as to how to do that. Who is Kirsten: I started working in health care as a volunteer when I was 15 and then as a nurses aid when I was 16 and have been in health care most of my life. I have been in health care for 35 years. I have been a nurse for 32 years. I have been employed as a BSN for 27 years. I worked full time for about 20 years. It feels like health care runs in my veins. In my years, I have seen many perfectly healthy people die in routine procedures. Some procedures that are considered routine actually have a high incidence of morbidity and mortality. I have seen deaths and kidney failure from heart catheterizations and use of contrast media in perfectly healthy people. I have personally been injured and seen others injured by routine vaccinations. I have seen many people lose kidney function and suffer liver damage from drugs. The corruption of the dentistry industry and toxins placed in people’s mouths is outrageous. The drug industry today is very corrupt, to put it mildly, and drug testing and studies are skewed in the interest of the drug companies. There is so much dishonesty about the dangers of drugs and medicating the masses by putting drugs in drinking water. The current focus of health care is not to cure disease but to claim and manage disease. The wonderful thing about the methods recommended in this book is they are not about disease management but to eliminate disease using safe and Godly methods. They are also cheap and easy. We must learn not to identify ourselves by our disease but to give it to the Lord. The health insurance companies require the physician to label and diagnose us and although this might provide us insight as to the nature of the problem and how to deal with it, it is also a word curse that we must learn to take to the Lord and take authority over. Not something we want to nurture and protect like it is our friend. We must learn to watch our mouths and our mindsets as the Word says. Death and life are in the power of the tongue. Mark’s teaching and these resources teach us how to do that (i.e. take authority over our diseases and give them to the Lord rather than pampering and nurturing them). This book by Mark and Patti Virkler is an excellent biblical and practical guide to God's desire to heal sicknesses and to help believers come into strong health in order to serve Him better. God's heart reflected in this book is found in 3 John 2: "Beloved, I pray that you may prosper in all things and be in health, just as your soul prospers." This book brings together God's designed connection between a healed, healthy soul and healing of the body through the power of God and through understanding God's wisdom for diet, exercise, and proper use of nutritional tools. This book shows how the Lord wishes believers to enjoy the blessings of healing and good health that He wants to pour out, so that we can be a blessing to others--blessed to be a blessing in Jesus' name. This is the Abrahamic covenant and the purpose of faith relationship with Jesus to receive His blessing and pass it on through the leading and power of the Holy Spirit, touching others with His healing power and truth that sets the captives free as a witness to Jesus and His Kingdom in every nation (See Genesis 12:1-4). 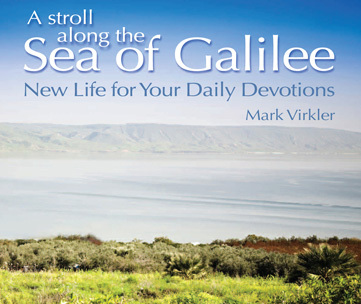 Mark Virkler gives practical advice and spiritual guidance to all who are seeking better physical health and longevity. 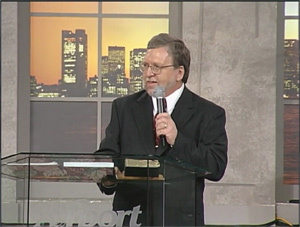 His writing is based on his own personal experience, the Word of God, and miracles. He thoroughly explores the gift of healing, deliverance from demons, and the role of faith in health and healing. I heartily recommend this exciting book to you, because I know the sincerity of Mark and Patti Virkler and their great desire to help those in the Body of Christ. At Bridge-Logos we have published three of their outstanding books—Dialogue With God, Prayers That Heal the Heart, and Am I Being Deceived? The program they present in this new book gives the steps to vibrant, daily health that will bring new life to the reader’s soul, body, and spirit. Thank you, Mark and Patti, for making these discoveries available to us. Lloyd B. Hildebrand, President, Bridge-Logos, Inc. I've known Mark for over 20 years. Mark never does anything simply. He journals, he investigates, he researches, he digs and digs until he has an opinion. I find Mark fascinating. Mark is not afraid to delve into areas that others fear. Here is what I know. God wants people well. I also know that in the Scriptures we have many ways in which God healed from eating figs, to a touch from Jesus. In this group of essays, you will find points you agree with and probably some you don't. Don't worry. Grab what the Lord highlights and receive the revelation and truth and be healthy. This book is filled with valuable, practical and spiritual techniques for healing and losing weight that have been proven to work. Whether you're in need of emotional or physical healing, you will find much insight here to get your life back on the right track to maintain vibrant health in your spirit, mind and body. “Vibrant Health” is a fascinating, practical and probing journey into the many natural and supernatural facets to life as it was meant to be lived. Dr. Virkler’s dedication to believing beyond our sights and testing by our all-in actions is an example of how the power of heaven’s healing flows freely into our lives. His work is chock-full of biblical context and analysis, practical reminders and suggestions and many personal stories and testimonies that validate these teachings. You will find this book both fascinating and engaging for your life journey towards health and a better you! One of my favorite scriptures is 3 John 2: "That you may prosper and be in health even as your soul prospers." God's desire is for you to be whole and living in divine health. 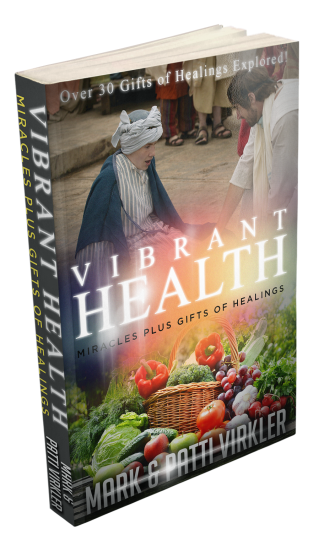 Dr. Mark and Patti Virkler, in their book Vibrant Health have brilliantly shared on the subject of health, healing, and miracles. It is rich with enlightening teachings, insights, devotions, and practical activations.